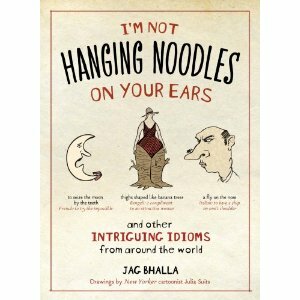 Speechwriters for jet-setting speakers and any writer who wants to use an idiom should dip into Jag Bhalla's book, I'm Not Hanging Noodles on Your Ears and Other Intriguing Idioms From Around the World . (The title idiom hails from Moscow, and is the rough equivalent of "I'm not pulling your leg.") Interviewed on The Splendid Table radio program about food-realted idioms, the author is another rich source of background and explanations for idioms from many cultures. 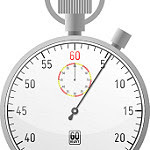 Writers, you'll want this special reference for at least two reasons: To keep the speakers you write for from making international faux pas with inadvertent or inaccurate idiomatic phrases, or to target a specific audience with its own idioms. Since idioms, by definition, can't be understood directly from the words they contain unless you are a fluent speaker of a language, this book also will be handy for those working, speaking and writing in a second (or beyond) language. You can listen to the audio interview with the author here.